At VGH, the majority of spine cases are treated on the Combined Orthopedic and Neurosurgical Spine service. Neurosurgeons from the division who have devoted their practice to the care of spinal dieseases are Dr. Tamir Ailon, Dr. Nicolas Dea, and Dr. Scott Paquette. Diving and mountain climbing accidents, automobile accidents and contact sports can instantly turn able-bodied people into individuals with paralysis. British Columbia has the highest per capita number of spinal cord injuries in North America. These injuries usually result in the loss of sensation, motor power and disturbance of bladder, bowel and sexual dysfunction. The spine surgeon’s goal is to improve the patient’s quality of life by enabling him or her to regain at least some of the function lost through the injury. In addition to the acute surgical treatment they receive, patients with spinal cord injuries often require coordinated interdisciplinary care by various other specialties, such as Physical Medicine and Rehabilitation, Urology, Respirology, Infectious Diseases, Sexual Health, Psychology, Neurology, Neurosurgery, and Family Medicine. 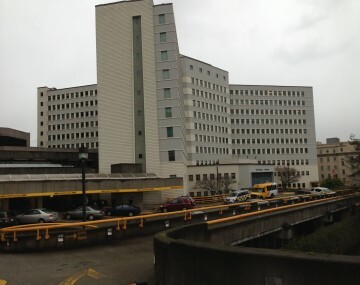 With in-patient and ambulatory care facilities located in state-of-the-art facilities on the Vancouver Acute Campus, the Spine Division maintains a clinical and academic focus on the care of individuals with spinal column and cord injury, spinal deformities, tumours, and degenerative conditions.